Sleep apnea poses many risks to those who are affected, but perhaps the most immediate danger is the threat of nodding off while driving – a side effect that often results in catastrophe. Chronic fatigue and sleepiness caused by obstructive sleep apnea is known to impair driving drastically, making motorists more susceptible to vehicle accidents. One recent study reported a sevenfold greater rate of auto accidents among sleep apnea sufferers compared to subjects without the disorder. Unfortunately, impaired drivers with sleep apnea cause preventable accidents every year, and some of these involve commercial rail and highway transportation. On March 8, 2016, the Federal Motor Carrier Safety Administration (FMCSA) and Federal Railroad Administration (FRA) proposed the creation of new rules that would affect employees who held “safety sensitive” positions such as locomotive conductors or operators of commercial motor vehicles who have moderate to severe obstructive sleep apnea. 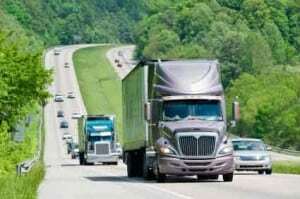 The agencies are requesting additional information about the screening process, costs of treatment and safety risks of transportation personnel with OSA, so they can create effective regulations across the industry. Undiagnosed or untreated sleep apnea has been known to cause deficits in concentration, alertness, reaction times and memory – the same sort of effects that are associated with alcohol impairment. Commercial vehicle drivers, such as those who operate tractor trailers or commuter trains, are often responsible for the safety of hundreds of passengers in addition to their own, making it essential they are properly rested and fit to get behind the wheel. The Federal Motor Carrier Safety Administration cites recent train derailments and truck accidents where undiagnosed or poorly treated sleep apnea was determined to be an underlying factor. One of the crashes listed was the 2013 Metro-North train derailment in the Bronx, NY that killed four and injured more than 60 people. After investigations, the National Transportation Safety Board found that the probable cause of the accident was human error. The conductor had undiagnosed “severe” sleep apnea and had fallen asleep momentarily, during which time the train increased speed to 82mph in a 30mph zone. Obstructive sleep apnea is a disorder that is characterized by intermittent periods in which the throat muscles collapse, essentially blocking airflow. Breathing stops for a period of seconds, causing individuals to gasp or snore as they struggle to breathe. This cycle can repeat itself dozens of times throughout the night, resulting in shorter periods of deep, restful sleep. The National Highway Traffic Safety Administration says that at least 100,000 accidents are caused by driver fatigue every year, and these estimates are on the conservative side. Injuries or death caused by a drowsy driver may prove grounds for litigation. A plaintiff may seek monetary damages against the defendant in cases where negligence played a role. For example, a bus or truck driver may be held accountable if he or she did not comply with mandatory sleep intervals between shifts and was driving while excessively fatigued. In certain situations, an employer may also be held legally responsible for injuries or loss caused by a fatigued employee who was forced to work extra shifts under duress. If you were harmed in a truck accident caused by an impaired or drowsy driver, you may be entitled to compensation. Discuss your claim with a veteran Maine car accident lawyer at Hardy, Wolf & Downing by calling 1-800-INJURED. We serve the entire Southern Maine region including Portland, Bangor, Lewiston and Auburn.